And yet another Star Wars movie to make the timeline of the saga even more tricky to understand for non-initiated people. However this time it is not so important as you just need to understand the action take place somewhere between the 3rd (actually the sixth one) and the 4th movie (actually the first one). Anyway, the most famous smuggler of the whole galaxy is back. He is probably one of the most-liked character of the Star Wars universe and we think this spin-off was well deserved. His macho attitude is almost as famous as his half-smile, but this time Disney made a huge bet by casting a new actor to fill Harrison Ford’s shoes. Let’s see how that turned out. If you’re gonna make a movie about one of the most liked character in the whole saga, you have to choose a cast matching your ambitions. And Disney did just that. 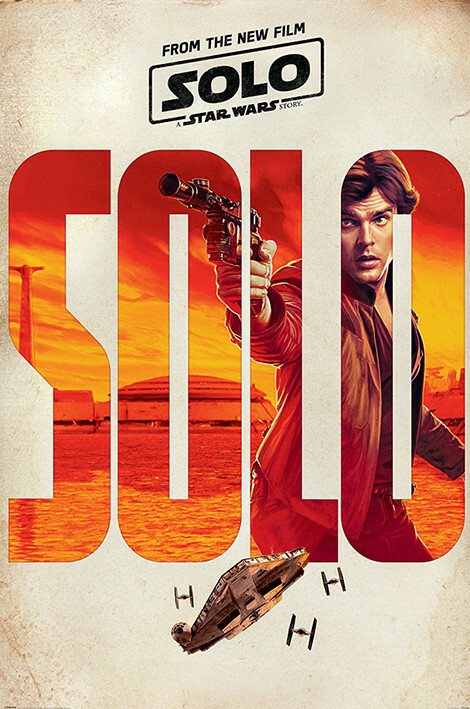 First of all, Alden Ehrenreich (yes, we had to copy/paste this one) takes on what is probably the biggest challenge of this movie, that is to impersonate a character that will forever be associated with Harrison Ford. He is doing quite a good job at it, especially because he doesn’t only try to copy Ford’s style. His long lasting love is played by Emilia Clarke (yes the mother of dragons from Game of Thrones), who’s just doing an okay-ish job. Woody Harrelson on the other hand, is a great mentor for the young Han Solo and Paul Bettany was a great bad guy, even though we wished he had more lines and a bigger part to play before dying so quickly. The other actors are all more or less famous and blend well into the story. Especially Chewie. But we love Chewie so we can’t really be objective on this one. 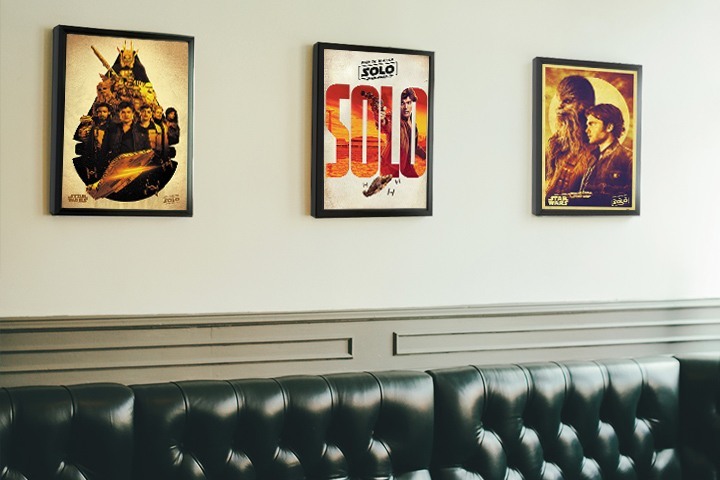 I think we all have the same feeling about the recent Star Wars movies: it’s good to see some more of that Galaxy far far away, but we would rather like quality movies than one every year. 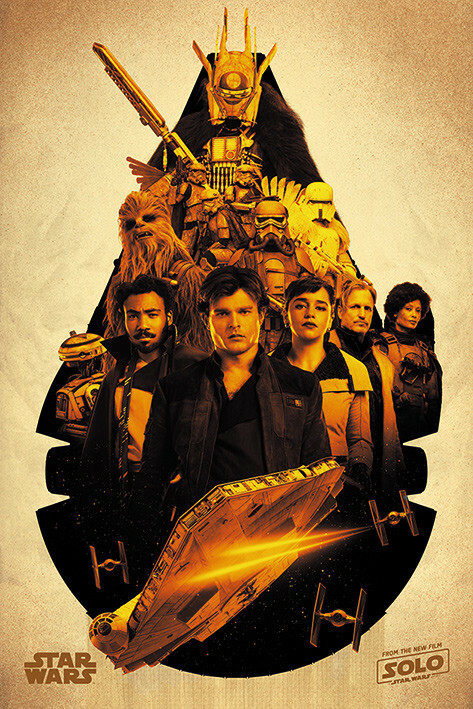 On the other hand, this movie being non directly related to the main three trilogies, and with so little background on Han Solo than the fact he did the Kessel Run in 12 parsec, you can tell the scenario benefited from so much freedom. And if Rogue One as something in common with this movie, it’s the “no jedi” factor. And it does seem like no jedi is the way to go to make good movies. The Star Wars universe is big enough to do without the force every once in a while. When Disney bought all of the Star Wars franchise, they promised a lot of content being released and so far they kept to their words. On the other hand, they also explained that they will wander off the main story line and will no feel compelled to respect the main codes of the saga created by George Lucas. This movie shows clearly their ambition. Of course, you have Han Solo and Chewbacca aboard the Millenium Falcon, and plenty of hidden references to the original story. But on the other side, this movie breaks up with some of the most conventional Star Wars rules. All “heroes” are not such heroes even though they end up acting for a good cause. But for example, this is the first Star Wars movie ever not to start by the classical text rolling up the screen. As a Star Wars fan this is an iconoclast act. But it also shows that Disney is ready to break the codes and use the Star Wars universe in different ways. And that could be good for the future of the saga. In the end this movie was pretty entertaining. We would not recommend it to any die-hard Star Wars fan, especially if you didn’t enjoy any of the 3 movies released since Disney took over the franchise. However, if you like good blockbusters or if, like us, you just love some Star Wars adventures for what it is and enjoy seeing more space combats and blaster fights, this is a movie you should definitively enjoy.